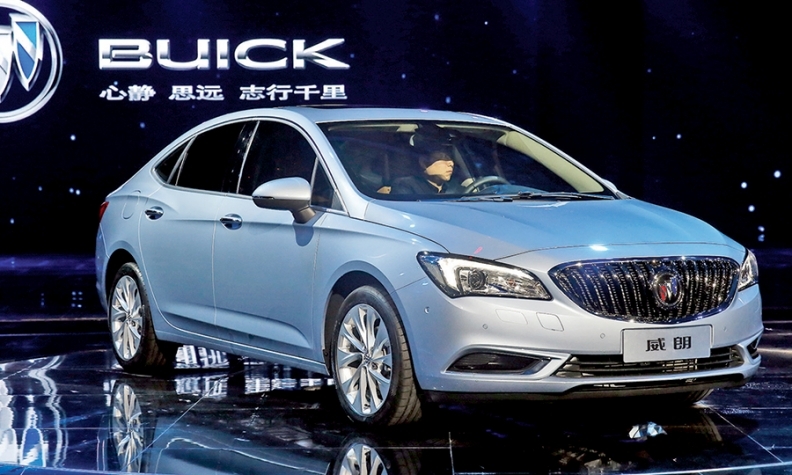 Buick's Verano for China that debuted on the eve of the Shanghai auto show is expected to closely resemble the U.S. version and gives clues to other upcoming General Motors compacts. The redesigned Buick Verano that General Motors recently showed at the Shanghai auto show is expected to closely resemble the eventual U.S. car -- and offers clues to several upcoming GM compacts. The Verano for China will be among the first cars built on the latest iteration of GM's Delta global front-wheel-drive compact platform. The newest Delta platform will underpin the next generations of the Chevrolet Volt (slated for a U.S. launch this fall), Opel Astra and Chevy Cruze, expected to be revealed in coming months and go on sale in early 2016. The redesigned Verano for the U.S. is expected to be unveiled next year. The Verano shown in Shanghai appears longer than the current one (GM hasn't disclosed specifications), extra length that is likely to carry over to the next-gen Cruze. Recent spy photos suggest that the redesigned U.S. Verano will bear the same sculpted, sweep-spear body sides seen on the Shanghai car. The Chinese version will be among GM's most aerodynamic cars. The base powerplant also is a candidate for the U.S. Verano and Cruze: a 1.5-liter turbocharged engine rated at 160 hp. The first vehicle on the newest Delta platform is on the roads in China: the Buick Envision crossover, which industry sources expect to migrate to the United States. Next generations of the Chevy Equinox and GMC Terrain crossovers, due in early 2017, will be based on the same platform.